Banking on the skills of our qualified team of professionals, we are involved in manufacturing, supplying, wholesaling and trading of Automatic Water Pump Controller to our clients. 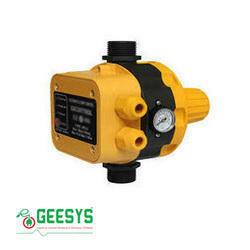 Offered Automatic Water Pump Controller is well known for trouble free working. We are one of the well-distinguished companies in the market that is into providing Automatic Water Pump Controller. Auto off when tank got full.